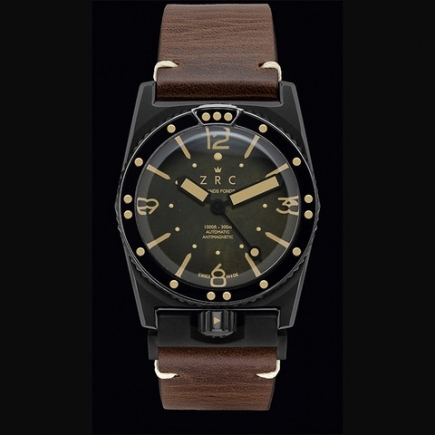 ZRC | 2'390 € Tax inc. 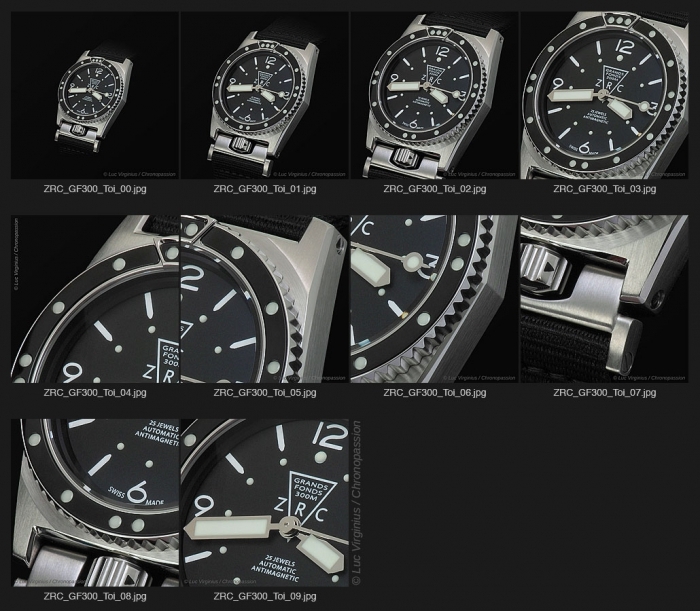 In the early 1960s, Louis BRUNET and the Annecy diving team with the support of local figures such as Louis SERVETAZ, launched plans for an affordable and efficient diving watch. 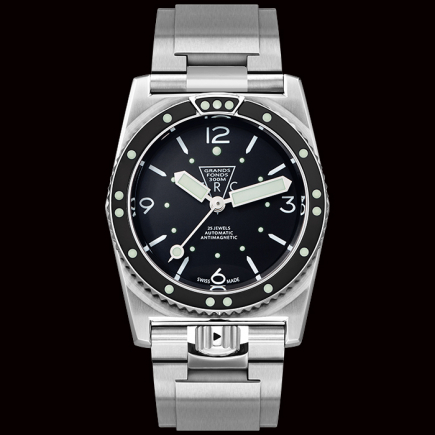 Messrs. PASTRES & DIGNE, watchmakers in Toulon, diving watch specialists contributed wholeheartedly to the creation of the Grands Fonds 300 which will be immediately approved by the French Navy. 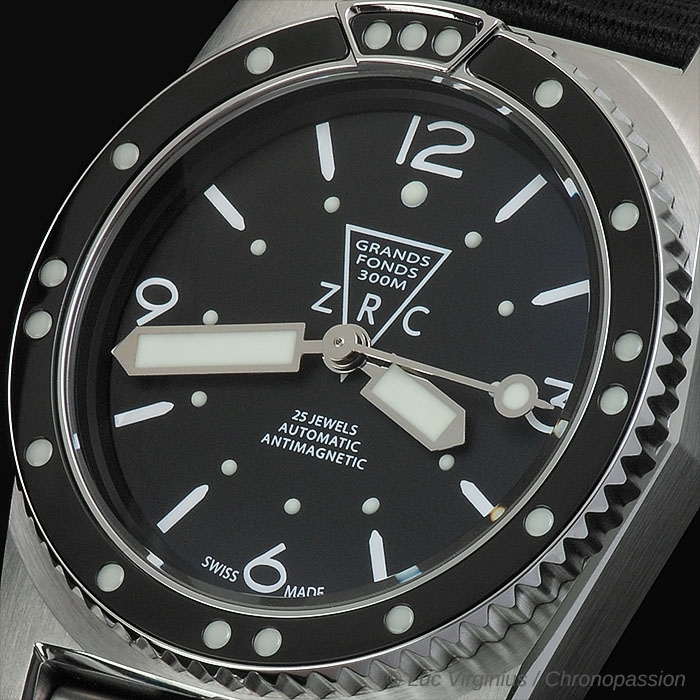 After several months of tests, the Navy asked ZRC to “modify” few things such as the 3 o’clock crown too vulnerable during the underwater manipulations. The Navy as well asked for a “smart” sizable metal band system together with a mean to protect the crown without impeding wrist movement and above all, to ensure it could not open under water. The team set work and developed the famous 6 o’clock crown, connected to the case using an exclusive system consisting of a canon cut from a single block, making the Grands Fonds 300 the first watch to be equipped with a 100% Monobloc case. 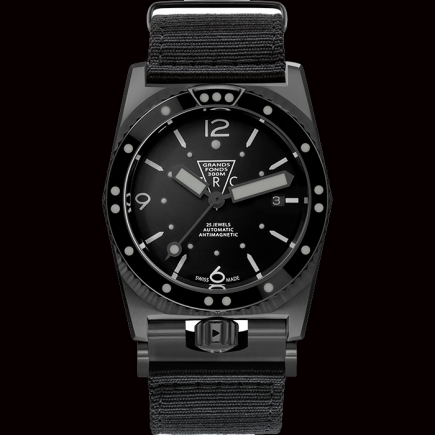 Furthermore, the case is machined in a particular type of steel reinforced with molybdenum that is completely antimagnetic (an absolute necessity for the Mine Clearance Divers’ group). 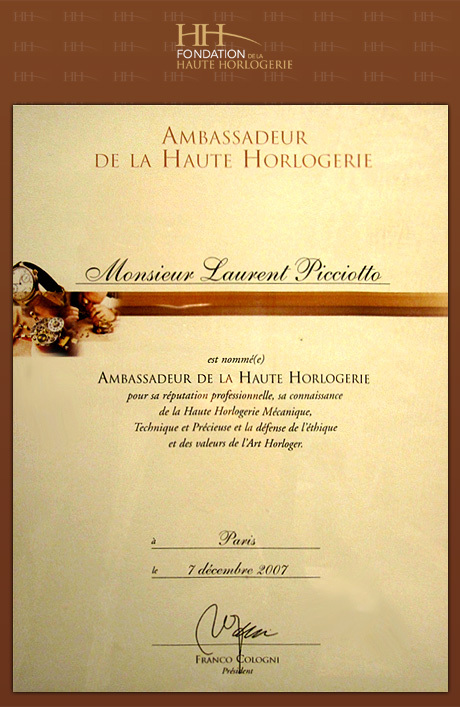 All watches, therefore, underwent a test period, being trialled in all possible conditions of “military-related harsh use”. 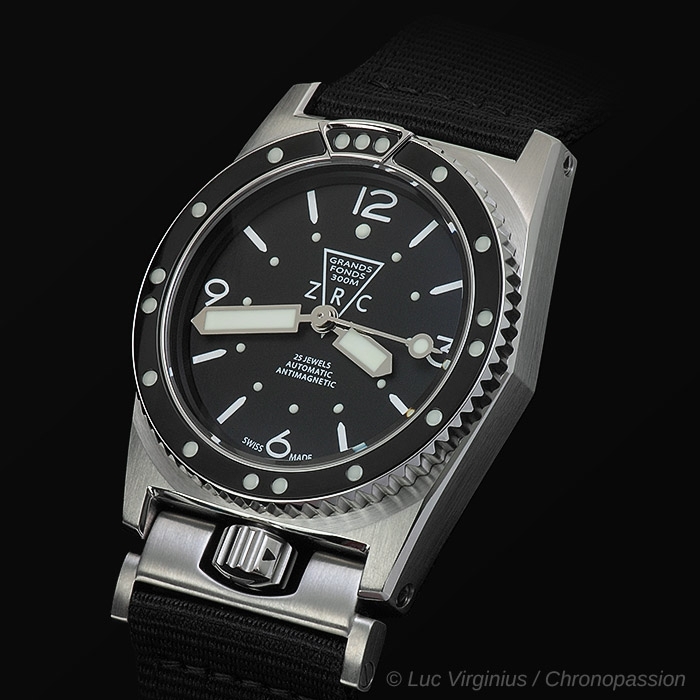 The STCM in Paris approved the new equipment and entered it into the general equipment catalogue for the commissariat, attributing it the 6645 family member for deep sea diving watch. 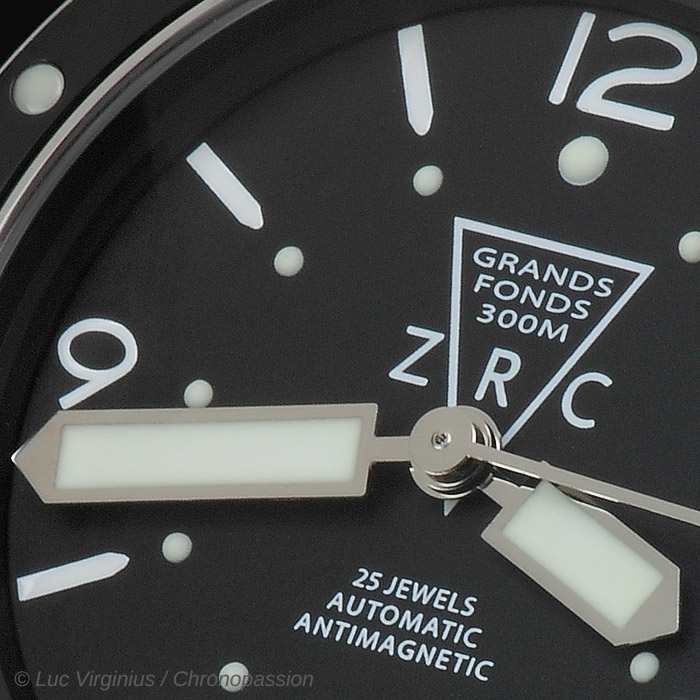 Motored with the 2472 ETA movement, the GF300 is more than reliable. 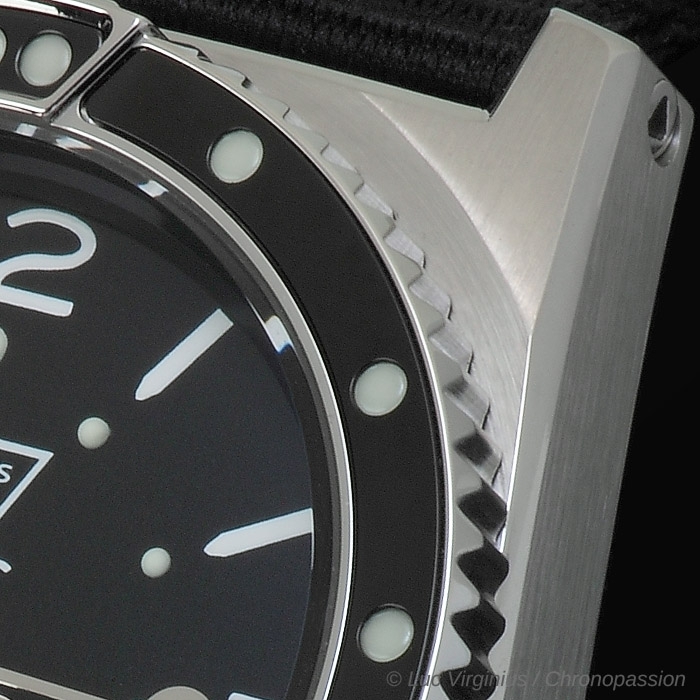 Its super luminous MAGNUM hands provide perfect legibility underwater. Revolutionary watch under many ways, the GF300 was issued to the Paris firefighter department as well as the French waterskiing team. But it was above all the watch of the French Navy (Toulon diving school, 3rd division of Toulon Mine Clearance Group, the Hubert Commando) as well as the Italian Navy. 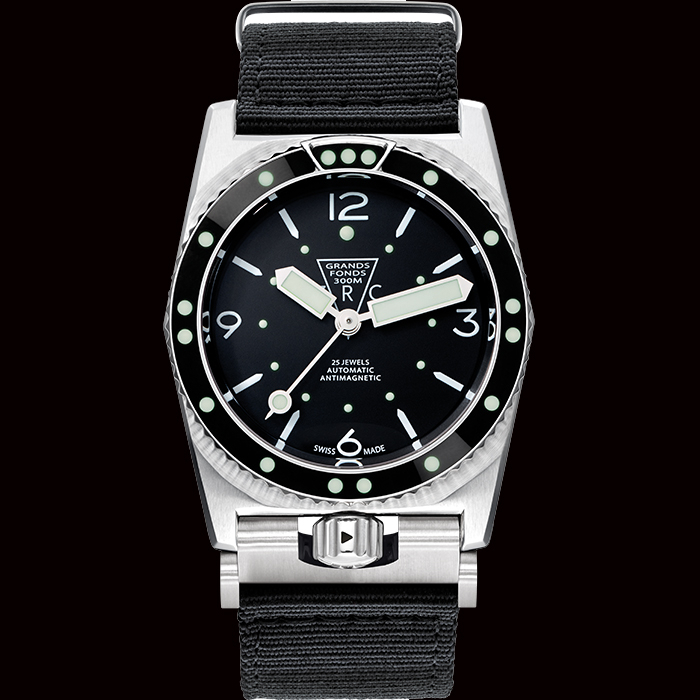 It was also adopted by non-military units supported by the French Navy, including the famous CALYPSO of Commander COUSTEAU, which took the watch around the world and firmly established its reputation. 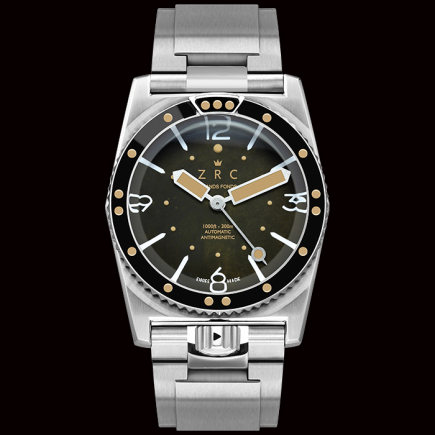 In 2015 ZRC has decided to re-issue this diving icon of the ’60s. Answering the problematic observed by the French Navy Mine Clearance divers during their multiple dives: the salt was crystallizing into the spaces in between the bezel and the case, therefore blocking its rotation. With the 2015 re-issue of the GF300, ZRC has developed & patented (N°1462496) a functional solution: the ECS™ was born. 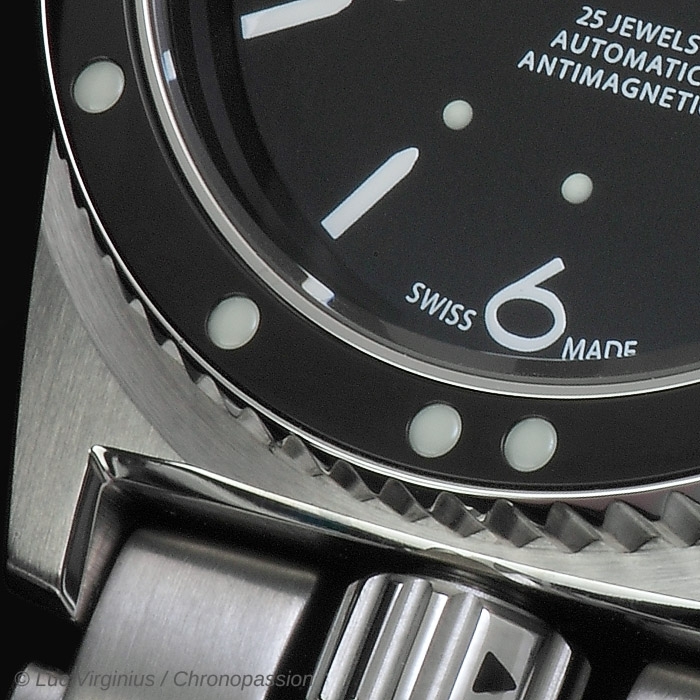 A unique system for cleaning the inside of the bezel by circulating fresh water that dilutes and evacuates the sea salt, the ECS™ is the ultimate tribute to the original Grands Fonds and is perfectly in tune with the brand DNA. The CPS™, 100% safety is guaranteed thanks to this exclusive retractable ends band. 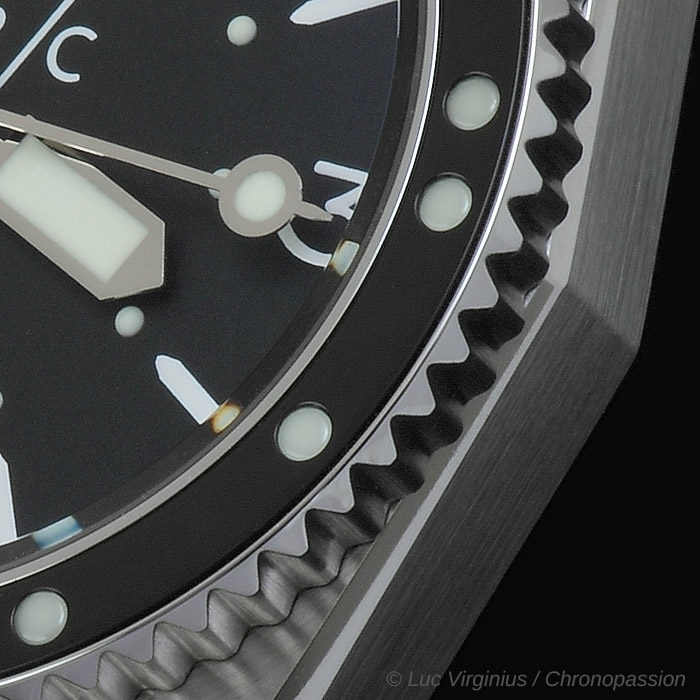 It is now impossible to immerse the watch in water without screwing the crown back into its original position. If the crown is not screwed down the metal band cannot be correctly repositioned. This effective method prevents oversights that can lead to technical issues. The new GF300 finds itself equipped with an automatic adjustable metal band which allows it to be worn over a wetsuit. 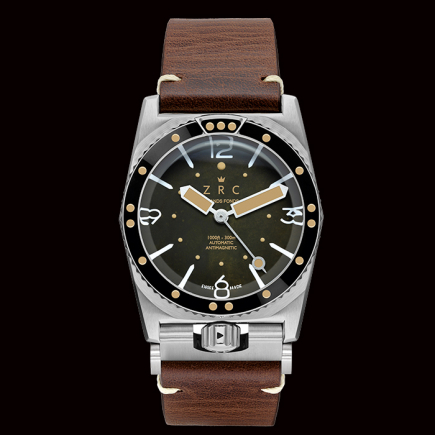 This unique embedded spring system automatically adapts to the diameter of the wearer’s wrist for unparalleled comfort. 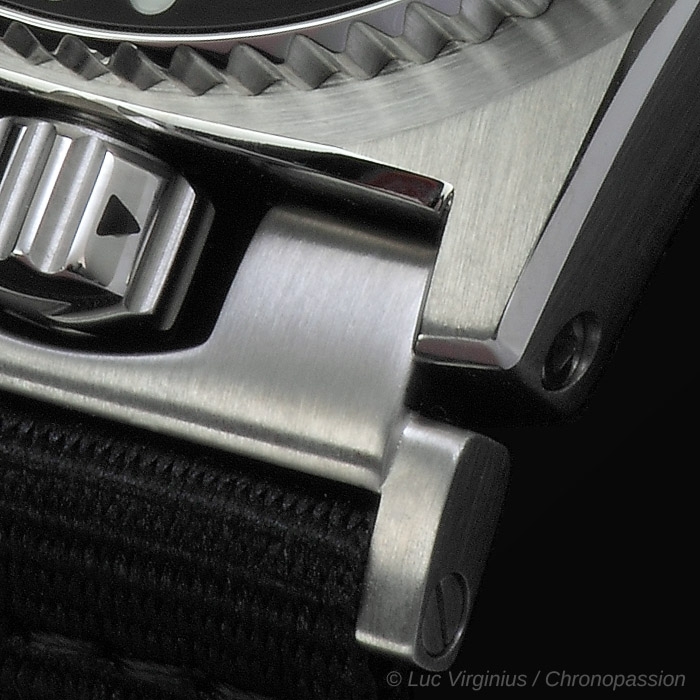 No further adjustments are required, as tow links on either side of the case extend to accommodate the new diameter. 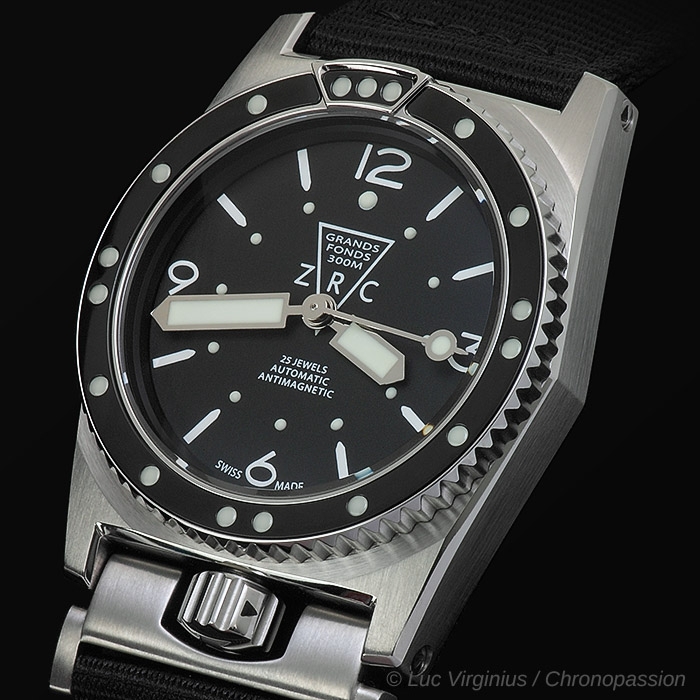 In addition to this, the exclusive “diver” clasp, also derived from the original Grands Fonds, has been redesigned and adjusted. More supple, precise and secure, it also features better finishes and is more comfortable to wear. 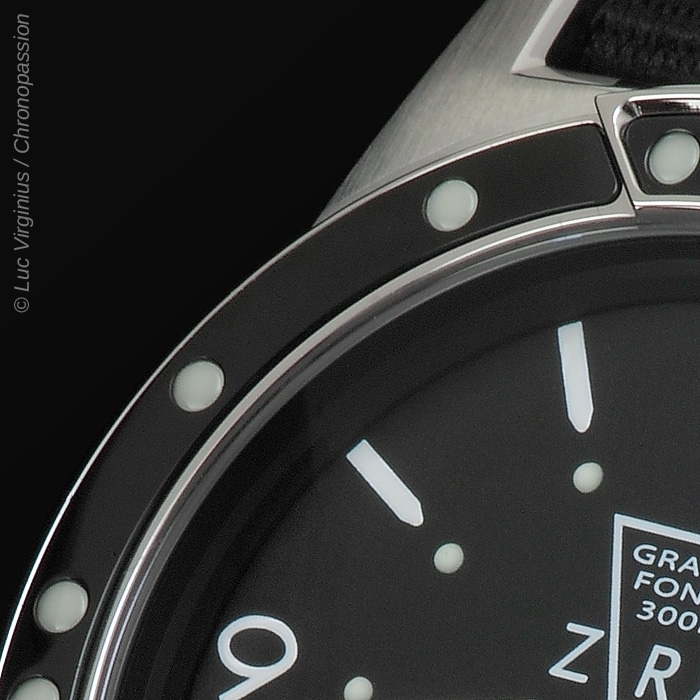 A 3mm anti-reflection sapphire crystal glass as well as the new 2824-2 “Elaborated” ETA movement caps the new equipment of the SWISS MADE GF300. With its sharp line & sleek esthetics, the new Grands Fonds 300 pays homage to its heritage and represents a perfect fusion of tradition and innovation.